The fund will be selected. 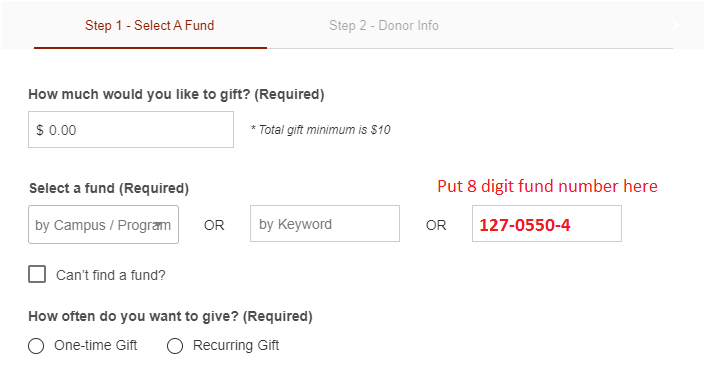 Please fill in the gift amount and the required information. Then click "Next". 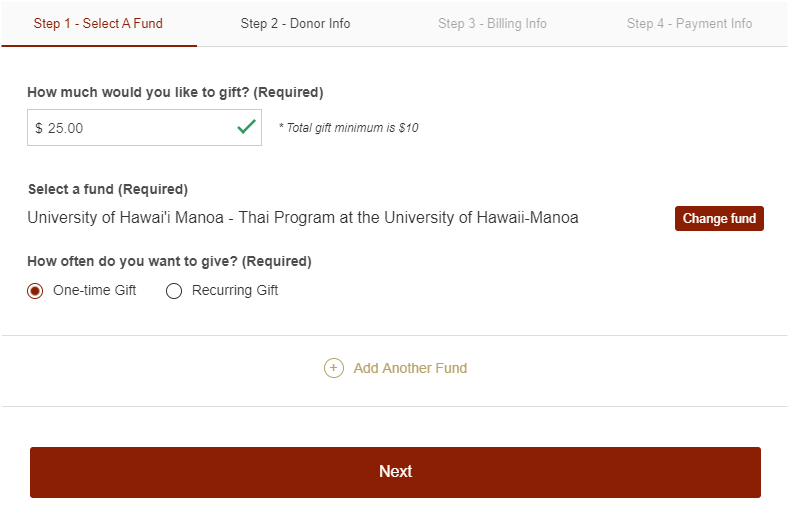 Fill in Step 2 with donor information, and Step 3-4 with credit card information and submit. Once you have donated, please go to the contact form below. We would like to have you name to acknowledge you as TLO supporter on our site.